Hearing someone’s smile when you can’t see it **. The voice rises, exudes excitement and warmth. This sound makes me well up with joy, makes me want to smile back. A glass of cool, refreshing water. Quenches the thirst, washes the body of impurities. 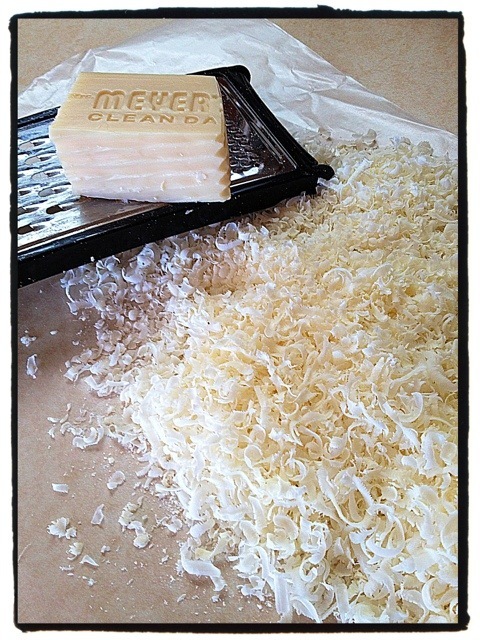 Making my own soap! The smell of lemon verbena, stirring the creamy goodness. **The person I specifically have in mind is a woman named Lisa Grace Byrne of WellGroundedLife. She has a wealth of information & inspiration for moms and non-moms alike. Every time I watch one of her videos or listen to an interview she’s conducted I can’t help but smile! Her voice expresses her emotions, you can really tell when she’s smiling…a gift that she gives to others. Categories: 1000 Gifts, Daily Bread, What I am loving | Tags: 1000gifts, Ann Voskamp, daily bread, soap, water | Permalink.